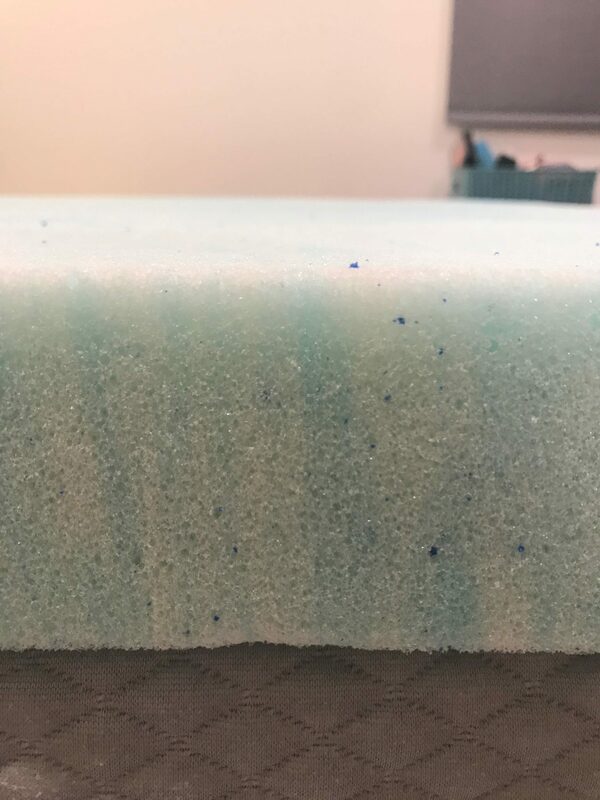 Linenspa 3 Inch Gel Swirl Memory Foam Topper Review was recently completed by the MattressJunkie.com team. Linenspa has an array of sleep products that I have reviewed in the past from mattresses, pillows, protectors, etc. Linenspa is high quality and very reasonable on price. 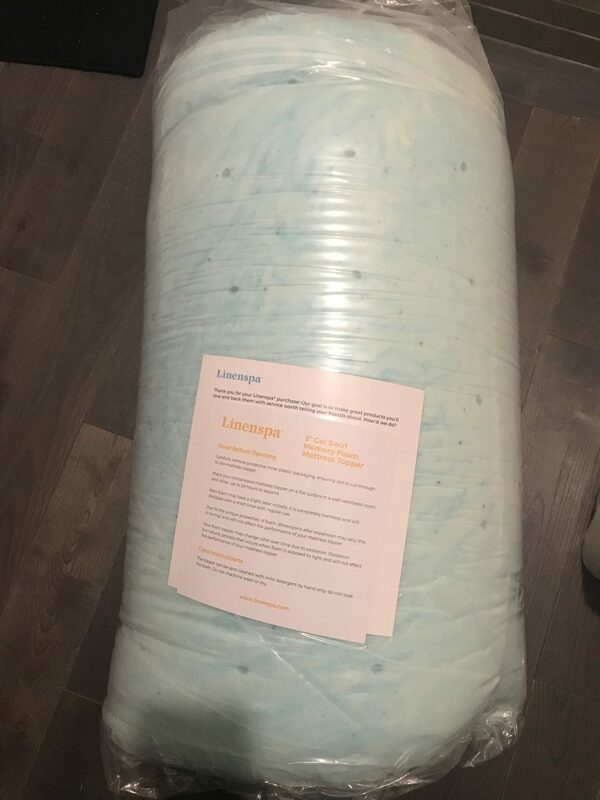 The Linenspa 3 Inch Gel Swirl Memory Foam Topper sent over was queen sized and that normally retails for $76.99 on their website. Shipped to us rolled and compressed like most mattresses, the topper expanded and was immediately ready for testing. A mattress topper is useful for many reasons. 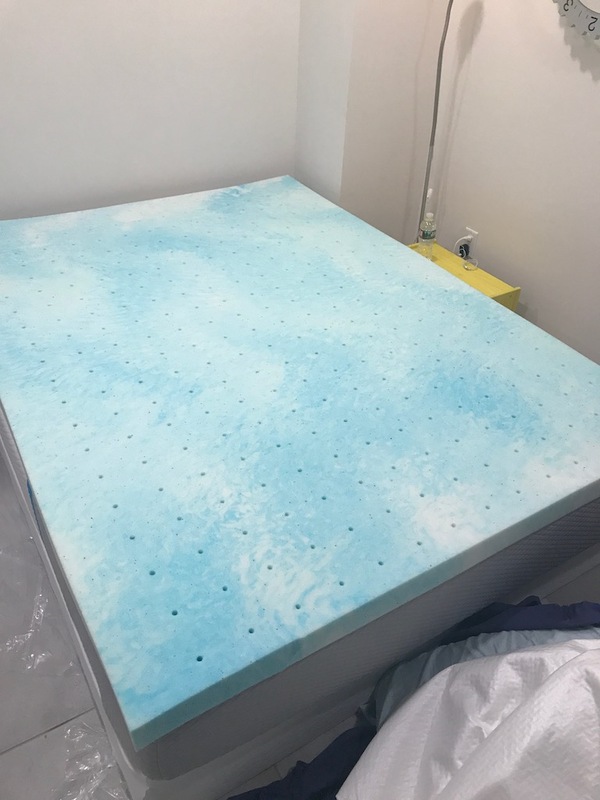 If you are sleeping on an older mattress and don’t want to upgrade yet, a mattress topper can add a layer of comfort and support to aging mattress. A mattress topper also is useful in making a firmer mattress more comfortable. What’s the Linenspa 3 Inch Gel Swirl Memory Foam Topper made of? The Linenspa 3 Inch Gel Swirl Memory Foam Topper is 3 inches of plush gel swirled memory foam. The foam has been ventilated with holes to help with temperature control. The ventilation holes keep air moving throughout the sleep experience so heat retention doesn’t build up. The gel infused in the memory foam aids in pressure relief so weight distribution is evenly spread to ward off pain from pressure buildup. The gel also provides cooling to the sleep surface. 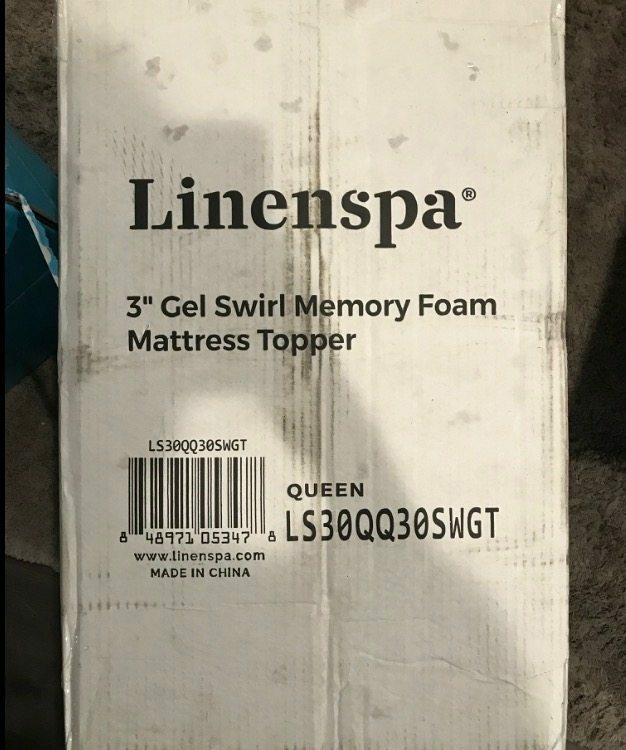 What’s the Linenspa 3 Inch Gel Swirl Memory Foam Topper warranty? 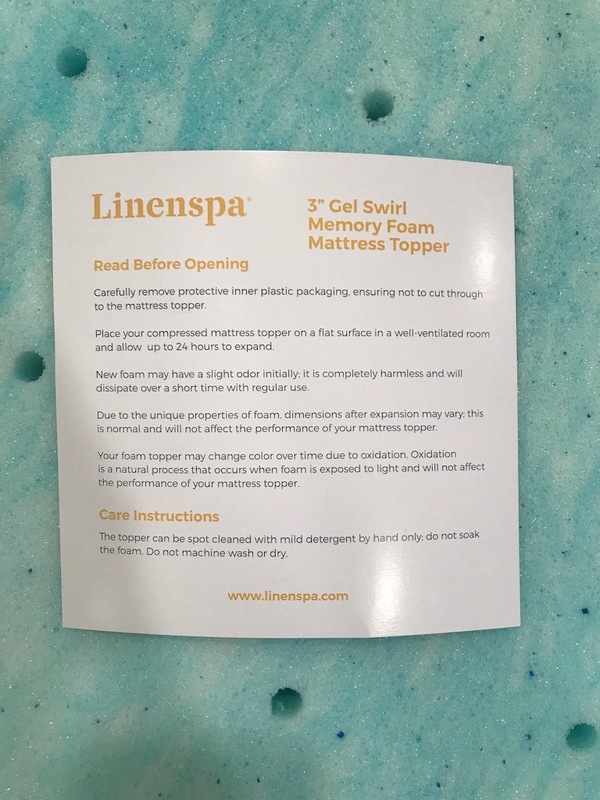 Linenspa offers a 3 year warranty on the 3 Inch Gel Swirl Memory Foam Topper. 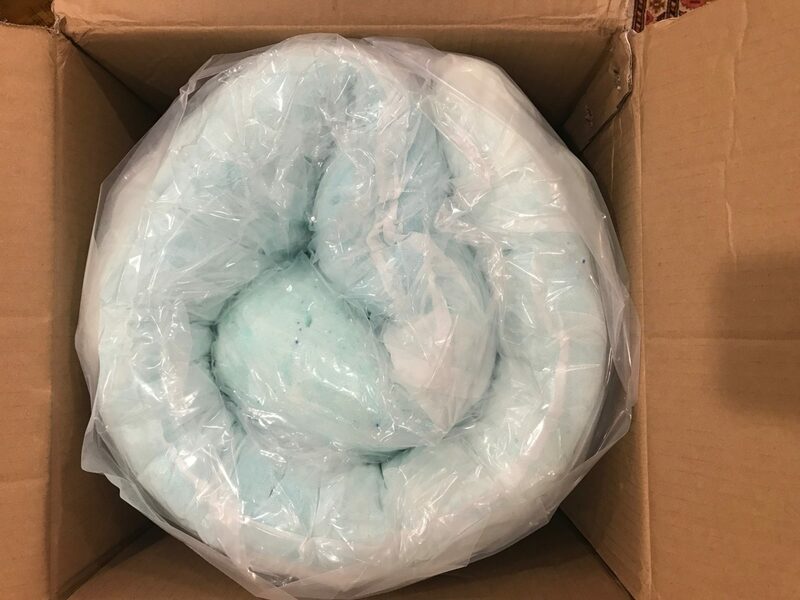 You can order the Linenspa 3 Inch Gel Swirl Memory Foam Topper right here…..